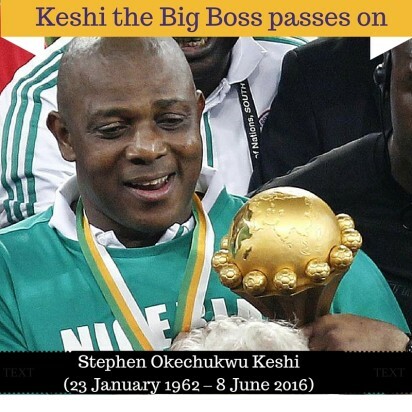 Stephen Okechukwu Keshi (31 January 1961 – 7 June 2016) was a Nigerian football defender. He was also a football manager of the Nigeria national team. He was one of only two people, along with Egypt's Mahmoud El-Gohary, to have won the Africa Cup of Nations as both a player and a coach.